I have also written many posts similar to yours. It is so frustrating how OCD is misrepresented in the media, and people like Carrie Underwood only make things worse. These days when I hear comments such as “I’m so OCD,” I do speak up, correct the person nicely, and try to start a conversation. 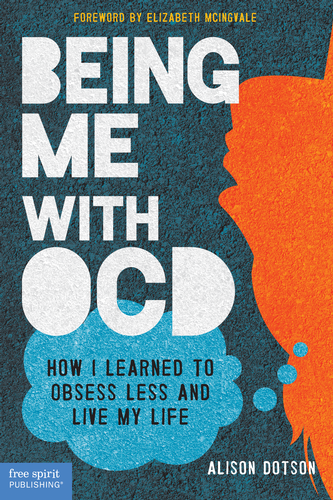 In my experience, nine times out of ten, people are genuinely interested in hearing about what OCD really is and is not. Thanks for all you are doing to raise awareness of this horrible disorder and congrats on your book! Thanks, Janet! You have a presence on the Web; I’ve read your blog and a few articles, too. Thanks for the note–and thank YOU for all you do! I have a tendency to go into a prolonged rant about how destructive such trivialisation is and why it’s not “OCD” to like your socks to match or want to be on time, etc. I usually include a lengthy series of anecdotes about my daily life, including the fact that I shut down and became catatonic because I couldn’t deal with the fact that my brother had accidentally thrown out my straw. It’s not cute. It’s highly distressing. Recovery is possible, but it takes a long time and a LOT of willpower to deliberately expose yourself to the trigger time and again. Making light of it minimises the very real trauma associated with the condition itself, and the recovery process. My most troubling manifestation was hoarding, and when people say “I’m such a hoarder” because they like to collect ornaments, it makes me want to scream at them. Collecting rational things is NOT hoarding; washing hamburger wrappers and folding them into neat piles because you are quite literally unable to throw them out but you refuse to live in filth is hoarding! But hey, liking to be on time is “OCD” eh?